We are constantly working on improving Mockup Everything to make it the best mockup service around. We know we aren’t perfect, so if you need help or just want to say “hi” check out the Contact page or email us at support@mockupeverything.com. The Mockup Everything Pro Version includes access to all our templates from the apparel, print, outdoor, food & beverage, and technology categories. 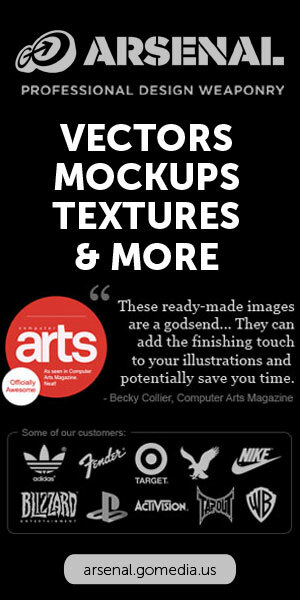 To see our current list of templates, take a look at our ‘Templates’ library: http://mockupeverything.com/template-library/. Wish there were even more templates to choose from? Never fear! Each month for Pro users, we’ll expand our library with at least 5 new templates and some brand new categories. Keep a lookout for monthly emails to stay in-the-know. Sign up for our free newsletter! As a Pro User, you’ll also have the ability to save out larger jpeg snapshots than a Free User would (1000 x 563 to be exact)! Once you get a taste of the Pro Version, we think you’ll want stick around. But there’s no hard feelings if you don’t — you can cancel your Pro subscription anytime. Remember: because you’ve signed up for the Pro Version, you’ll be charged the $12.00 per month after the trial expires. Have you been asking yourself, “Why should I upgrade to the Pro Version of Mockup Everything?” Well, here are the reasons why the Pro Version rocks! You will have access to every template we have in our template library. Each month we will be adding a minimum of 5 templates and you will have immediate access once they are published. Save 1000×563 JPEG images, versus 540×305 in the free version. Your saved image won’t have the Mockup Everything watermark. It’s only $12 per/month (you know you spend more than that per week on coffee). Priority access to Customer Support. Priority consideration for template requests. When I click on an image in the Template Library, why doesn’t take me to the template I’ve chosen? So when you click on one of the template images in the library, it will not take you to the actual template.Our mockup system was built in Flash so we don’t have the ability to link the image files to the actual templates. We apologize for this inconvenience and we have noted the issue and will keep that in mind for future improvements. How Do I Use Mockup Everything? While we have tried to make Mockup Everything as intuitive as possible, we also know that for our 1st time users, you might need a quick little walk-through. Check out this little video all about How to Use Mockup Everything! How to Use Mockup Everything.com from Go Media on Vimeo. Or, head to our GoMediaZine post entitled, “How To Use Mockup Everything” for step-by-step instructions on how to use the site. Do the templates have both the front & back versions available? Many of you have asked if the templates you see in the Template Library are for both the front and the back versions of those products. And the answer is that it depends on the product and more importantly the category that the product is in. All of the Print, Technology, Outdoor, and Food & Beverage categories only have the front version available. Whereas, for the apparel templates most of them have both the front and the back versions available, but there are some exceptions. I can’t see the app. What am I doing wrong? Please make sure you have Adobe Flash downloaded onto your machine. If you already do, make sure it’s updated to the latest version. Upgrading is easy, especially from the homepage. You’ll see a Go Pro link in two places up top, there’s a banner on the right and Sign Up gives you the same opportunity to enjoy a 7 day free trial! Upgrading to Pro requires a Paypal subscription. The fee is charged monthly, securely through Paypal. Cancel any time! Once you cancel your subscription you will not be charged again. Please note that we do not offer refunds for monthly subscriptions. If you wish to cancel your membership before your 7 day trial is complete, you will not be charged. If you’re already a member, you can upgrade to pro any time! Once you’re logged in, go over to My Account and you’ll see an Upgrade to Pro link. It will take you over to Paypal to process the subscription. Downgrading back to the Free version is easy! Be sure you’re logged in. Next, click on My Account where you’ll see Account Info in the right column. Click the Cancel Pro link. You’ll be taken to your Paypal account. Scroll to the bottom of the page and you’ll see the Cancel Subscription button at the bottom. That’s it! Your account will be automatically downgraded after you end your subscription. You can upgrade again at any time. Subscribe to our mailing list to stay in-the-know about monthly template releases, Mockup Everything updates and goodies, too!